He likes Mizuki, but doesn't know that she is really a girl, and some of his classmates believe that he is gay due to that fact. Nakatsu also seems to have come to terms with that fact. 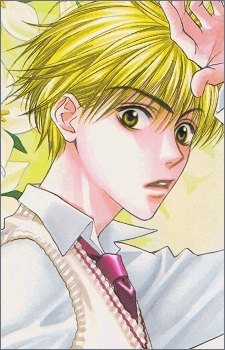 As Umeda says,"...he's only attracted to her feminine side," meaning that Nakatsu is responding as any teenage male would to being around a female, although it would appear he is a bit more excitable than his classmates as none of them seem to be affected by Mizuki-- or they simply hide it better. At times, he is very jealous of Sano because of how close he is to Mizuki. He entered the school with a football (soccer) scholarship, and is very good at it. Originally from Osaka (the city, which is different from the school and spelled with different kanji), he has a thick Kansai accent and frequently uses the Kansai dialect. He has bleached blonde hair.